Hair masks are great at improving the texture and quality of your hair. While I would normally prefer hair masks made at home, my hair stylist suggested me to go with Moroccan Oil Weightless Hydrating Mask after my recent color treatment. This mask is especially suited for fine and dry hair. 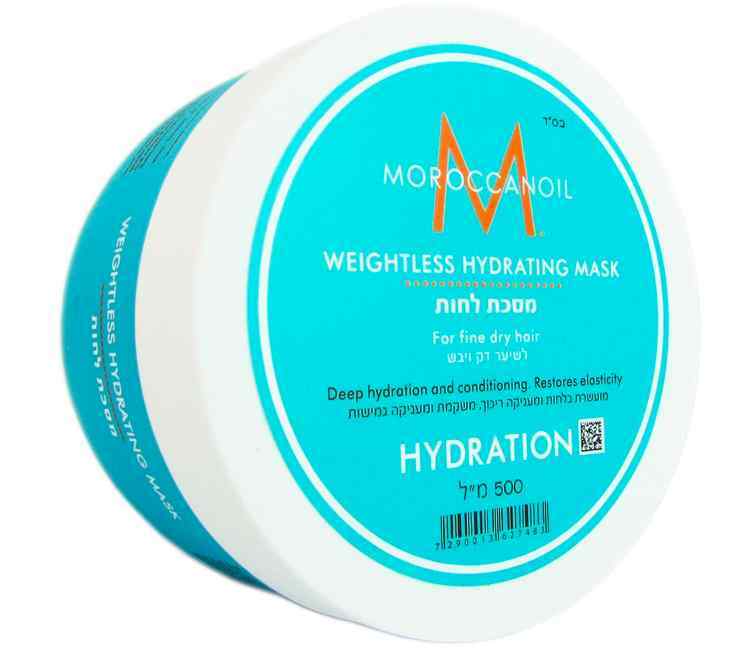 Moroccan oil Weightless Hydrating Mask is for fine, dry hair. This mask deeply hydrates and conditions without weighing hair down, while improving texture and manageability. 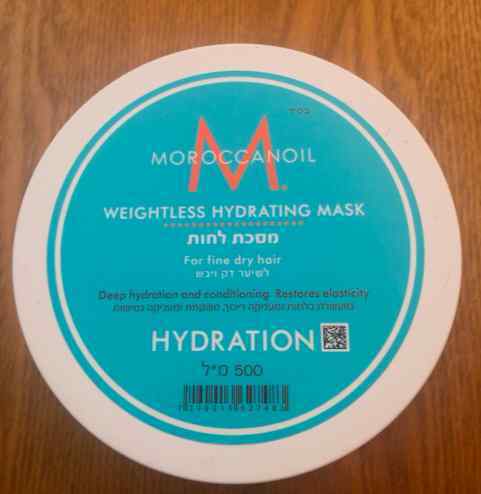 Here is my thoughts on Moroccan Oil Weightless Hydrating Mask review. Treat fine, dry hair to a five-minute hair revival treatment. Moroccan oil Weightless Hydrating Mask is a rich and creamy, yet lightweight, deep-conditioning hair mask rich in argan oil and nourishing ingredients. High-performance formula hydrates and conditions while dramatically improving hair’s texture, elasticity, shine and manageability. Apply a generous amount of Moroccan oil Weightless Hydrating Mask to towel-dried hair and comb through. Leave on for 5–7 minutes and rinse thoroughly. No heat required. Use 1–2 times weekly.TIP: For deeper conditioning, mix in a few drops of Moroccan oil Treatment when using this hair mask. Availability: Selected drugstores and most of the salons store it. 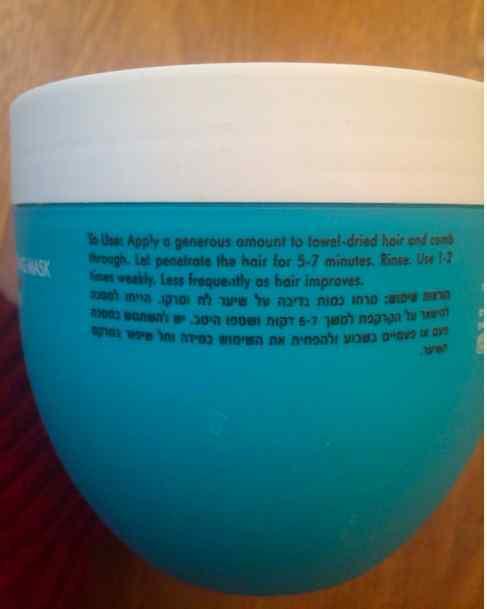 The hair mask comes in a sturdy blue tub with white cap. The packaging is really shower friendly and can be carried while travelling. The hair mask is white in color and has a creamy texture. It has a pleasant fragrance and doesn’t weigh my hair down on application. A small amount of mask is enough for my long hair. I generally avoid applying it on the scalp as conditioners and masks tend to flatten my scalp when applied. It is really easy to rinse of the hair mask and it doesn’t leave behind any residue on washing. I do not feel the need of applying any conditioner after using this mask. It leaves my hair soft, frizz-free and with less tangles.My hair feels like my hair only a better softer version. My hair now appears healthier after using the product for over a month.I generally use this mask once a week. We would love to hear from you: Have you used Moroccan Oil Weightless Hydrating Mask? Did you like it? 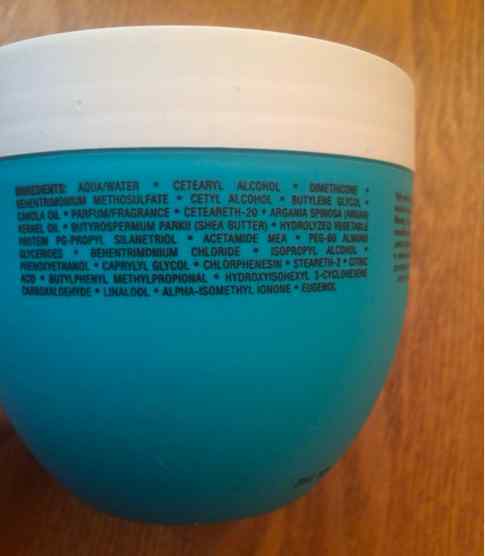 If not, please share your review, comment or about your favorite hair mask in the section below. Read the product review for FabIndia Tea Tree Skin Toner.